I hope you all had a great Monday full of happy little things! I took the Zen Habits advice yesterday and ate my oatmeal sans TV, magazine, internet browsing, or blogging! It definitely made me mindful of what I was eating (my favorite oats + fresh mango from the eastern market! ), when I was full (uhh...after the whole bowl? ), and I just plain enjoyed it more. This is not the first time I have received this distraction-free eating advice. Bethenny Frankel also preaches *paying attention* to your food in her famous book Naturally Thin, which I highly recommend to anyone who is looking for a good (un)diet book. I'm a little embarrassed to admit it, but I usually eat my breakfast while catching up on bloggies (or sprinting for the train), my lunch while working, and my dinner in front of one of my favorite tv shows. Whoops. 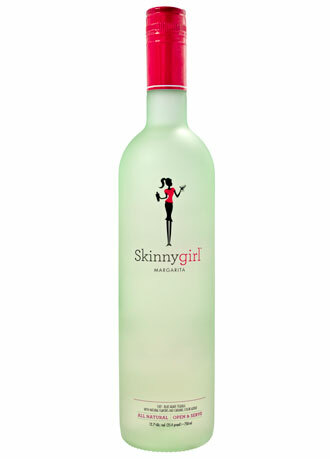 Bethenny makes a good point in her book. She calls my bluff, urging that no matter how busy you are, you can take a FEW minutes to stop and give some thought and attention to what you are eating to nourish yourself. It is the food that gives you the energy you need to balance the bagillion balls in the air that you are juggling simultaneously each day. When you think about it like that, it does seem like it deserves a little more "respect." So anyway, I'm gonna work on this commitment slowly, starting with breakfast, and see how it goes. As promised, I have a come up with a great running playlist for all you joggies out there! This one is good for a 3-miler, which is what we have to do twice during this week (6 miles on Saturday, yikes!). I put a "power song" near the end to give you that last little push in the tukhaus, and a cool down song for stretching. 1. Georgia Clay, Josh Kelley (one of my current favorite country songs). As always, they're all available on iTunes right now. These songs could be great for any form of exercise, or just to get you pumped up for a full day of multi-tasking! Hope you all have a fantastic Tuesday! Mine is school, work, run, cook up a delicious din din, you know the drill! **Lets give em something to talk about: What do you typically do while you're eating? Or have you already mastered the art of distraction-free grubbing? Happy freaky Friday! And, to all of you who have been working hard all week, we made it!! The drive up to Michigan was really nice -- sunny and blue skies all the way! I jammed out to a little country, and got super excited for the warmer weather that is *hopefully* coming soon (hurrryyy!!). I definitely got into my roadtrip snack pack. I tried the Blueberry Muffin LARABAR for the first time and, I have to say, I didn't like it as much as the Lemon Bar flavor. I'm going to try the Peanut Butter Chocolate Chip next (thanks for the suggestion Christina!). My sandwich, on the other hand, was DE-licious. The only thing missing was something crispy (perhaps those Special-K chips??). I will have to remember that for the trip back. When I got in, we headed straight out for sushi, it was ahhhh-mazing. 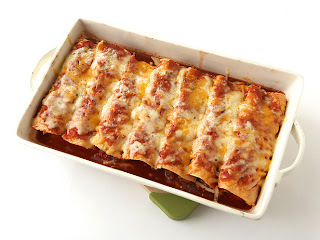 Today, I've got another great weekend night-in recipe to share! This one is a simple, healthy twist on the classic Chicken Parmesan. It's as easy as pie, and it tastes SO good. It's a go-to recipe for me when I am having an inner-chef block. I have also included my favorite recipe for roasted broccoli, which I usually serve with the chicken parm, because it is the perfect way to round-out the meal with some greenies. Before you get going on the chicken, you'll want to get the broccoli in the oven to get roasty toasty. Step #1: Preheat the oven to 400 degrees. Step #2: Put the broccoli florets in a medium size bowl. Step #3: Add the remaining ingredients, one at a time. Step #4: Mix it all up until the broccoli is evenly coated. Step #5: Line a cookie sheet with aluminum foil. Step #6: Transfer the broccoli to the cookie sheet and spread it out evenly. Step #7: Let the broccoli roast for about 15 minutes. Step #8: Toss the broccoli a little, and let it continue to roast for another 15 to 20 minutes. **Note: This is extra delicious if you marinate your chicken breasts before coating, I have recently been using Lawry's Balsamic Herb Marinade -- it is perfect for this recipe. Step #1: Preheat your oven to 400 degrees (unless it already is hot from making the broccoli). Step #2: Place your chicken breasts (if you didn't marinate them, you will need to moisten them with a little bit of water) and a reasonable amount of bread crumbs or shake-n-bake into a large ziplock bag. Zip it up & get shakin! Step #3: Once your chicken is well-coated, remove the breasts from the bag and place them on a greased (or PAMed) cookie sheet. 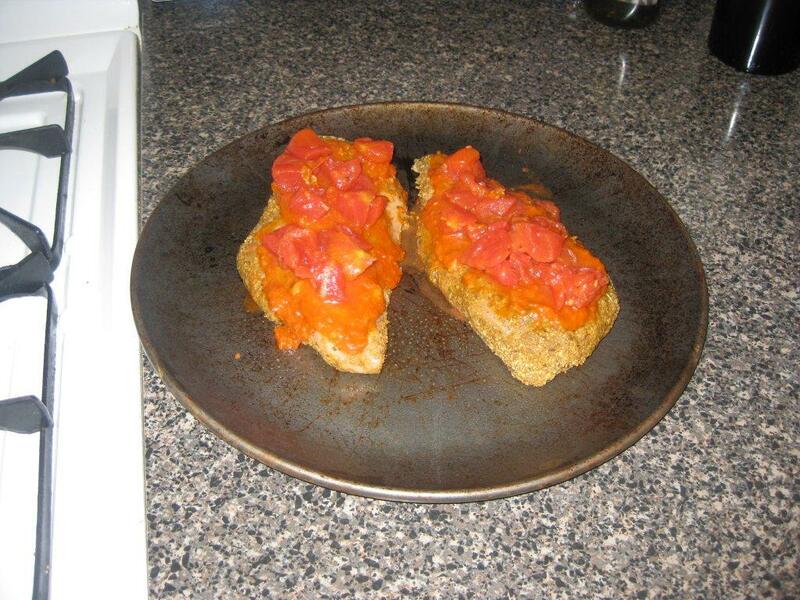 Step #4: Spread about 2 tablespoons of your marinara/pasta sauce on top of each piece of chicken. Step #5: With a spoon, spoon out about 1/3 cup of the diced tomatoes (with a little of the juice), and place on top of sauce on the chicken. Step #6: Put the chicken in the oven for about 20 minutes (don't forget to keep turning your broccoli throughout this time if you're making that too!). Step #7: Pull out the chicken and place 1 slice (or a small hand-full if using shredded) of the cheese on top of each chicken breast. Put the chicken back in the oven for another 5 to 10 minutes (depending on the size of the breasts -- you know the drill, make sure they're not pink in the middle). Step #8: Take the chickies out, let them cool, and serve them up with the broccoli! 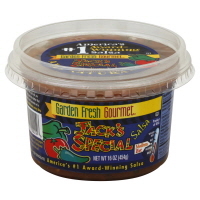 We recently ate ours with some delicious, warm whole wheat bread from the bakery (a little butter?? yes please! ), yummm. So there you have it -- another weekend-night-in-worthy meal that won't break the bank or your jeans size. 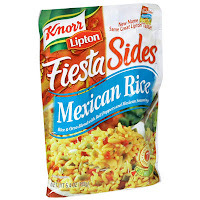 This stuff is REALLY good. It won our blind taste testing for reds at the Christmas partay! Happy Thursday -- almost to the weekend! I am about to take off on a little road trip for a girls weekend back "home" (aka Michigan). I am SO excited to see my mom, my grandma, and rosie (the pretty puppy!). I also added some other goodies so that I can still have my favorite breakfasts/snacks while I'm there. Just because you're away from home doesn't mean you have to completely abandon your routine! 1) St-RAW-berries :) My fave! 2) (In the tupperware) Turkey and Laughing Cow Light Cheese Sandwich on Whole Wheat Bread with Dijon Mustard (for lunch). 3) Lemon Bar & Blueberry Muffin (excited to try this kind for the first time!) 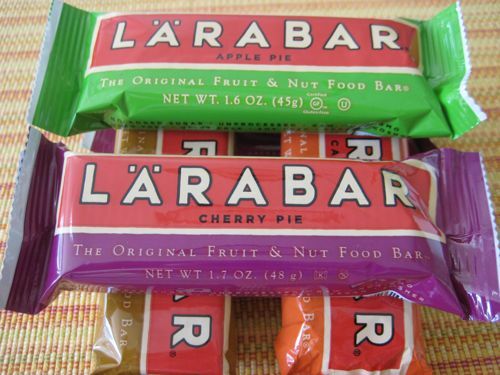 LARABARs. 4) Quaker's Weight Control Maple Brown Sugar Oatmeal (for the mornings). 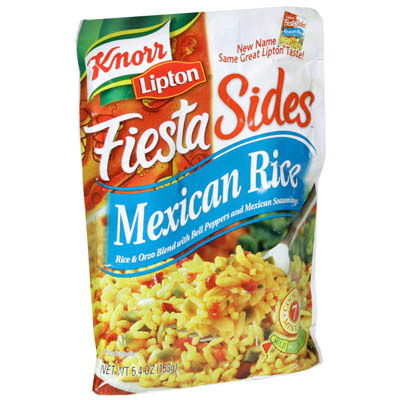 5) I am also TRYING these packets of Justin's (what a name!) almond butter in my oatmeal. I am especially intrigued by the chocolate flavored pack ;) Here's to hoping they don't taste like straight tree bark! 6) To stay hydrated in the dry car -- Vita Coco Coconut Water (with a pink straw, for fun, and to avoid the spillage) + a full CamelBak!! 7) My latest purchase from lululemon...no, just kidding, it's my makeshift lunch box, since I left my real one somewhere in Chicago like a GOOF (not surprising, I tend to lose all things like this, like water bottles, umbrellas, I could go on...I'm working on it!). A couple of Dove caramel-filled chocolates -- for the inevitable chocolate craving! Clearly, I can cross hand model off the list of potential future careers. So hopefully this will all keep me satisfied on the trip there and back! Don't forget to comment and/or start following for the giveaway, ya'll!!! Have a great day and I will see you tomorrow, from Michigan, for freaky Friday (yay!). One Month of Blogging Giveaway! It's been a couple of gloomy days here in Chi-town, but it's not slowing this girl down! So it has officialy been ONE MONTH since I started the blog. In honor of my one month blog-o-versary, and since I LOVE my readers, I am going to do a GIVEAWAY (yayy free stuff, yayy free stuff!). I'm doing a raffle -- If you comment on a post between now and next Wednesday, your name goes in the "pot" once. If you sign up to "follow" me between now and then, you get your name put in twice! Woo hoo! I'm pretty sure if you follow me "anonymously" on blogger, I can't see it -- so don't be shy! Don't worry, if you are already following me, I'm putting your name in twice automatically (I got your back!). To get in more times if you are already a follower, comment away. 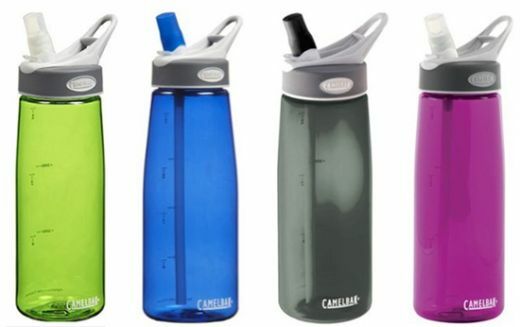 1) A CamelBak Better Bottle (0.75 liters): As I explained, the bite-n-sip technology on these bottles is amazing for working out! Having this bottle on hand is the only reason why I am able to stay hydrated throughout the day. 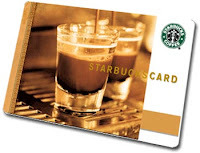 2) A $10 Starbucks Giftcard! This should be enough to get you at least 2 SKIVIZZLES, or whatever other drinks you like! 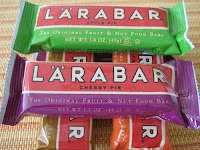 3) Last, but not least, a small (I'm thinking about 5 bars) assortment of my new favorite LARABARs! You can either tell me which 5 flavors you want (and I will do my best to find them), or I will come up with the mix! If you win, you can just email me your address, and I will even take care of the shipping! Also in honor of one month, I have set up a twitter account, which I swore I would NEVER do, so tweet it while it's hot @BEyesBTales. AND...wait for it... the blog's got mail! Email me at brighteyesandbushytales@gmail.com. If you ever have a question, a request for a post, or if you just don't feel comfortable posting on the "comments," feel free to email me at any time! I would LOVE to hear from you! While I'm on that subject, how have I been doing? Comments? Criticisms? Something you'd like to see more of? Something you'd like to see less of? I want to make reading the blog as enjoyable of an experience as possible for you guys so I'd love feedback! As I sit here with a little snackage prior to our night 2 of training, a great topic came to my head: to eat, or not to eat, pre-workout? I've had a lot of people tell me they have sworn off eating close to when they go work out because either A) it gives them a stomach ache, or B) they think they're going to burn more fat on an empty stomach. I'm of the opinion that a little nourishment before you get your sweat on is far superior to going to the gym with a growling stomach. Eating a light, smart snack before your workout gives you more energy to help push yourself harder so you can burn more fat. The "fuel" your body feeds off of when you work out is carbohydrate stored in your muscles and liver in the form of glycogen. Before carbohydrate is tucked away in your muscles and liver, it enters your bloodstream as glucose (blood sugar), which your body can also use as a source of energy. So basically, if you eat something and provide yourself some carbs shortly before you work out, your body has not just 1, but 2 sources of energy to draw from -- the glucose that is still in your blood, and the stored glycogen. The extra fuel will help you go stronger for longer. One other thing to know is that the glycogen in your body gets depleted by as much as 80% after a long night sleep. This means it is much more important to eat something with some carbs before a MORNING workout, to ensure an effective sweat session. Wow, don't you just feel smarter now?! 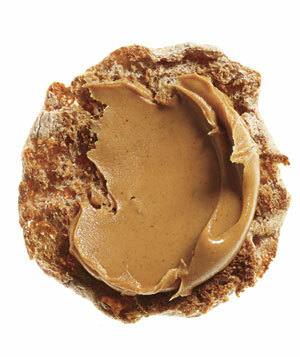 Ok, now onto the fun part -- what exactly should you eat before your workout and when? To avoid feeling sluggish and getting a stomach ache DO NOT eat a large meal shortly before you go to work out. Duh. With that said, the closer you eat to your workout, the less calories you should eat, and the more you should widdle down the fat and protein content because those things take longer to digest than carbohydrates. So lets not stop by the McDonald's drive through for a breakfast burrito and hash brown on the way to the gym, capiche? I like to have a good carbohydrate-rich snack about 90 to 30 minutes before I work out. 1) Get your monkey on! 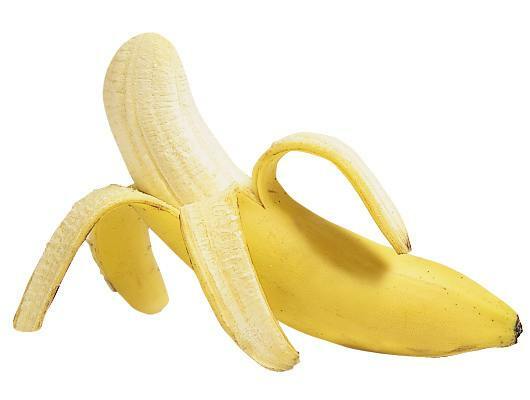 Try eating a small banana -- it will give you good carbs for energy and potassium to help with muscle soreness. These colorful bars-o-goodness are made from simple ingredients (the list is so short it's hard to believe--raw fruit, nuts, and a spice or two). They are also both dairy and gluten free, have no preservatives, and no added sugar. They also come in TONS of delicious flavors. My favorite so far is the lemon bar. Right now I've been eating 1/2 of a bar before workouts, but I will probably bring it up to a whole as we start running longer distances. 3) 1/2 of a Whole Wheat English Muffin with Peanut or Almond Butter (I choose Jiff Natural and Thomas 100% Whole Wheat English Muffins). 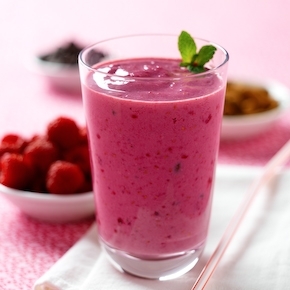 4) A simple, low fat, smoothie with fresh fruit. I really like Jamba Juice's Jamba Light Smoothies (I go for a small Strawberry Nirvana). So if you don't already do it, consider grabbing a small bite to eat shortly before your workout, and see how it affects your performance. I truly think it makes a difference. I wanted to share something interesting I stumbled upon on one of my absolute favorite blogs, The Fitnessista. If you have not checked it out yet, head on over! Be on the lookout for symptoms of inner peace. The hearts of a great many have already been exposed to inner peace and it is possible that people everywhere could come down with it in epidemic proportions. This could pose a serious threat to what has, up to now, been a fairly stable condition of conflict in the world. 1) A tendency to think and act spontaneously rather than on fears based on past experience. 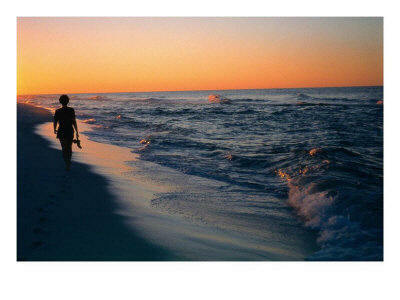 2) An unmistakable ability to enjoy each moment. 3) A loss of interest in judging other people. 4) A loss of interest in interpreting the actions of others. 5) A loss of interest in conflict. 7) Frequent, overwhelming episodes of appreciation. 8) Contented feelings of connectedness with others and nature. 9) Frequent attacks of smiling. 10) An increasing tendency to let things happen rather than make them happen. 11) An increased susceptibility to the love extended by others as well as the uncontrollable urge to love them back. I think I've got a pretty bad (GOOD!) case of symptoms 7, 8, 9, and 11, but I really need to work on 4 (I am professionally trained in over-analyzing), 6, and 10. What about you guys? What are your symptoms? Have you caught the "bug" or are you still working on it? Hope you all are having a relaxing night or sleeping soundly resting up for another great day. See ya in the AM! We had a blast with her & her fiancé this weekend and were very sad to see them go. You might remember me talking about how they are training for their first full marathon. Their training is almost done and the race is coming right up -- I know they're going to kick some may-jah booty! Talking to them about their training really gave us the bug to go out and run another race. After some looking around, I found a 1/2 marathon in the area this coming June and it looks like we are in! We're starting a 12-week training program TODAY -- the timing really works out perfectly. This time, we're going to try an intermediate training program, incorporating "speed" work to help us hopefully beat our previous times. If any of you are curious about the program, you can find it here. We are going to"shift" the schedule a little so we don't have 2 runs on the weekends because those can be kind of difficult to squeeze in. I'm going to keep up the barre classes, using them as my strength & stretching part of the training. Barre classes are great for runners because they incorporate tons of stretching, including IT band stretches. During our training for the race we ran last October, I had a lot of problems with my IT band on my left knee. It was so painful and I was really worried it was going to hold me back. I bought a foam roller and started rolling out on it, which helped a lot. Bikini I plan to live in on my post-Bar exam trip!!!! Cha-chinggg :) And no, I do not expect to look like that, I'm not delusional. Just excited to tone it all up so I can enjoy a few extra pina coladas. Priorities, people! You guys can get excited too, especially if you like to run outside, because I will probably be posting quite a few running party playlists. I know, you're jumping up and down, right?! Chicago is expereincing a heat wave -- 60ish degrees and sunny! Hallelujah! It truly feels like a different city, and I'm pretty sure I have been walking around with a goofy grin. Justin & I got in a nice little run last night. I broke out my go-to running shorts, and was not the least bit chilly. We half-accidentally ran almost 4 miles. That's pretty darn good considering the running hiatus I have been on since our half marathon. It was really nice to run while it was still light out so I could look in all the cool stores we passed along the way. One of the great things about living in a city is that you can run down the same street hundreds of times and notice something new on every trip. One of the not-so-great things is running past about 10 pizza places and 20 hot-dog stands before dinner...pure torture! After our run, all of the stretches at Barre class this morning were much appreciated. 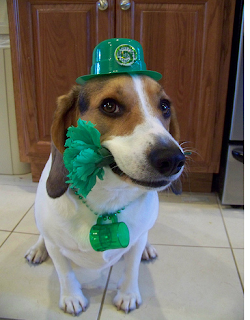 I'm in for a busy day at work today, followed by some fun at a little St. Patty's Day par-tay. Hope you all have a lovely lucky day of the Irish! See you all tomorrow for fuh-reaky Friday! Spring is upon us, which means a lot of people are looking to put away their long pants and sweatshirts and bring out the cute tanks and shorts for their workouts. With that in mind, I thought I'd share with you some of my favorite workout wear for Spring! 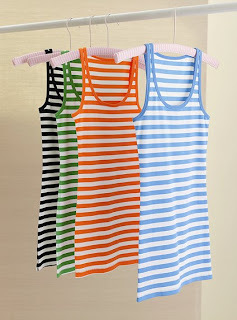 Victoria's Secret Girlfriend Tank: These tanks are one of my staples. They are long and very flattering, super soft, and they are somehow amazingly shrink resistant in the wash. I discovered these last summer and have a bunch of them that I wear over a sports bra to go work out, under other sweaters and tops for everyday wear, and for pajamas! They are usually $18 a piece, but you can get them online right now for only $12.50! 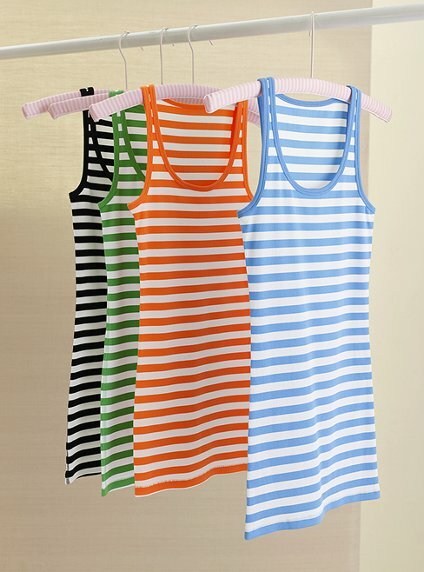 They have a ba-gillion colors, and they just came out with these funky striped ones for Spring! 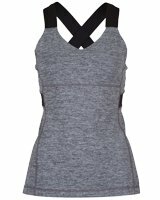 Lululemon Push Ur Limits Tank: I recently picked up one of these tanks from lululemon after seeing so many girls with the CUTEST tanks from there. I have not been disappointed. I would usually never go sans-sports bra, but this top truly does have enough support to go freely. 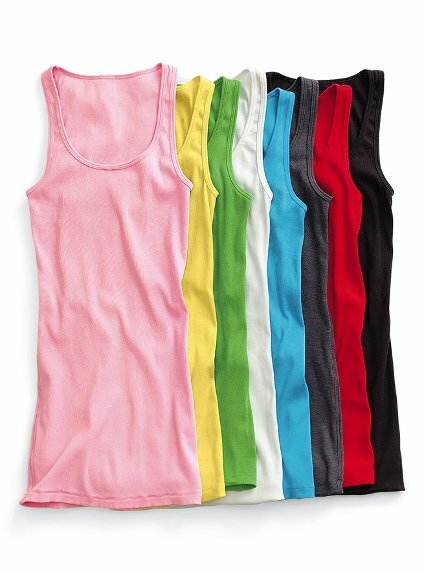 It's also moisture wicking, which is great for activities like spin, involving the super sweats. It looks like they only have the black available online, but I know they had tons of color options in the store when I was there last. What is great about ordering online through lululemon is they offer FREE shipping! Woo hooo! Look how great the back looks! Guaranteed to cause some work-out-gear-envy at your gym. 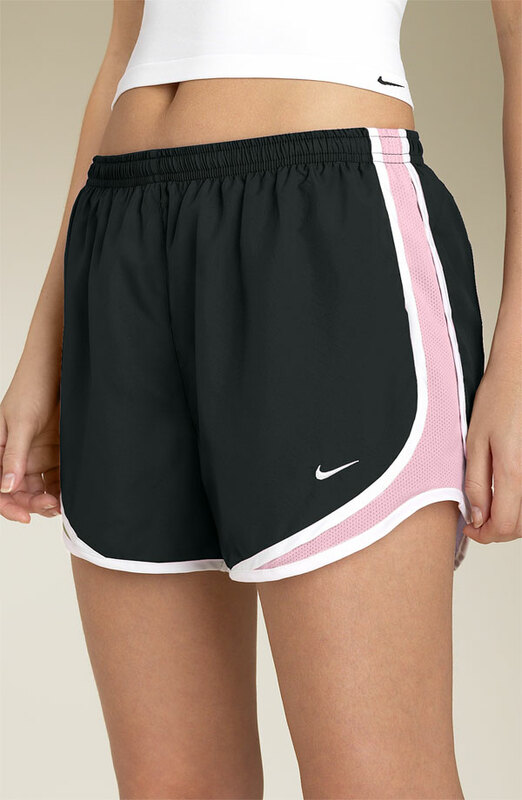 Nike Tempo Shorts: I'm sure 99.9% of the women in the world who work out have discovered these amazing shorts, but I thought they still deserved some credit. After years of searching for a good pair of running shorts, these came out, and I haven't looked back since. They are super flattering, made from Dri-FIT material, and they don't ride up -- so you won't get the stares from everyone at the gym as you constantly "fix" yourself on the treadmill. They have a MILLION different color combos. Nordstrom usually has some good options online, and they seem to have maybe gone down in price?? Only $28 a pair, not too shabby. Lululemon Hot Move Shorts: If you're a fan of Bikram Yoga, you will love these lightweight shorts. They are PRETTY short, but anyone who has done yoga in 105 degrees knows that less is more, and you will not be the one showing the most booty in these! I have a pair that I bought last summer in the black/grey print, but I think the "Unicorn Tears" print could be kinda fun, especially for spring! They've also added a cool little draw-string to the side of the shorts now. Lululemon Wunder Under Crop: If you're like me, you love to workout in capris, even in the Spring/Summer. For spin and barre classes, lightweight crops are my go-to. I discovered this amazing invention recently, and again, I won't ever be turning back! Lululemon Wunder Under Crops are moisture wicking, which is great for spin, and there is something about the material that makes you look great in all the right places, kinda like SPANKZ! They even have a hidden pocket in the waistband that is perfect for a couple of $$ or small keys. 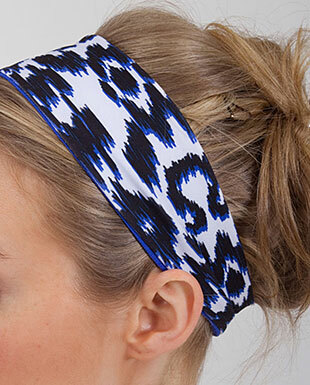 Goody StayPut Hair Bands: These are kind of a no brainer. Especially as it warms up outside, every girl wants something to keep those fly-aways from buzzing in her face as she gets her sweat on. These Hair Bands stay in place and they do not give you a headache or pull painfully on your hair. 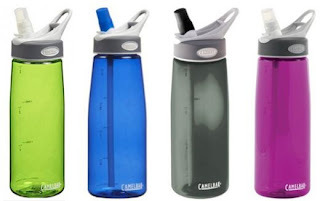 They come in both basic and fun colors! I pick some up every once in a while at Target. 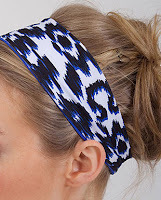 Lululemon Untwisted Headband (shown in "sprinkler ikat"): For you fashionistas, I recently stumbled across this pretty headband on the lulu website. It gets great reviews for the luon fabric, which catches sweat and dries quickly. It is also pretty good about staying in place, but best with a lower pony tail, and probably lower intensity workouts where you're not whipping your hair back-and-forth, like yoga or a barre classes. It is also REVERSIBLE! The other side is plain bright blue. Funnnn. I am *trying* to generate some more comments from you guys...I know you all have great ideas to add! So, does anyone out there have a great suggestion for spring workout wear?? Comment away!